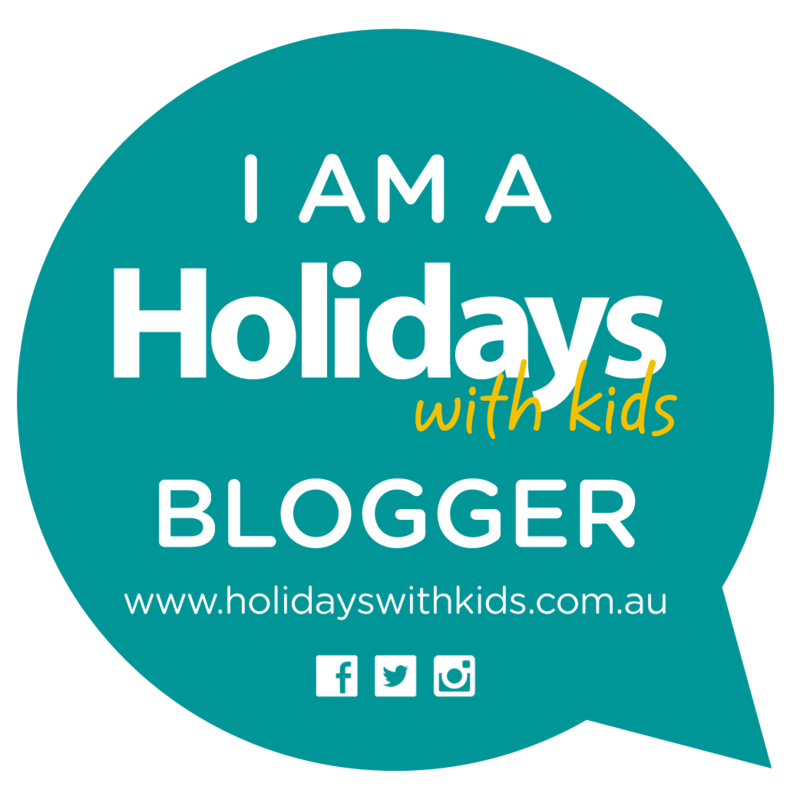 We recently headed to Melbourne for a few days during the school holidays. 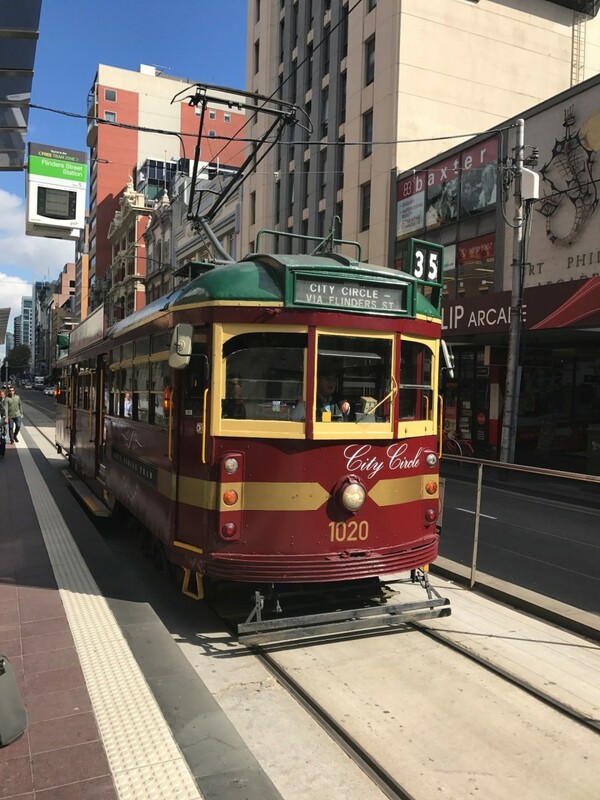 The city of Melbourne offers plenty of wonderful things to do for the whole family, we barely touched the surface and are looking forward to returning to this colourful city. Melbournes Luna Park is located next to St Kilda Beach with stunning views of Port Phillip Bay St. Kilda. 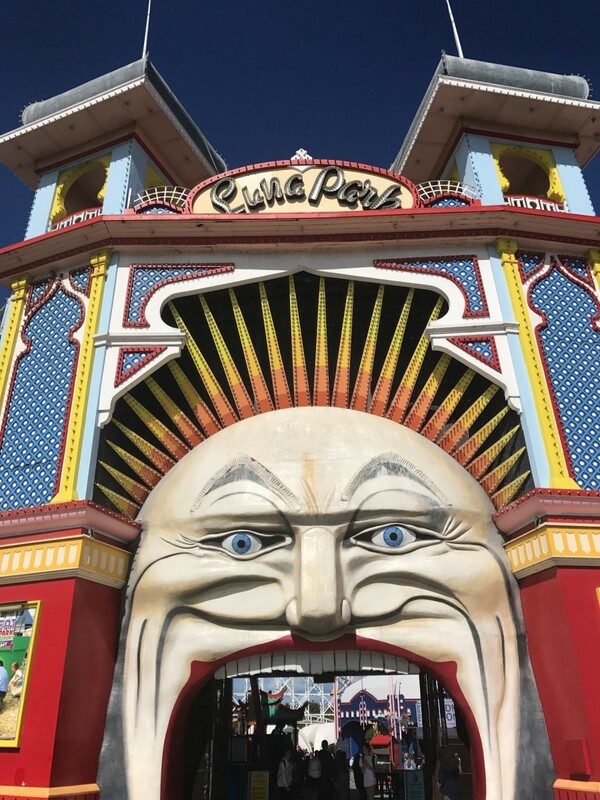 Luna Park Melbourne opened its doors in 1912, this historic park is filled with a generous mix of heritage listed attractions and brand new rides sure to satisfy all members of the family young and old. Looking for a fun family day out full of thrills and carnival atmosphere, this may just tick the box. Brighton is located in the City of Bayside. Nestled on Dendy Street Beach. This was a must do during our recent visit. 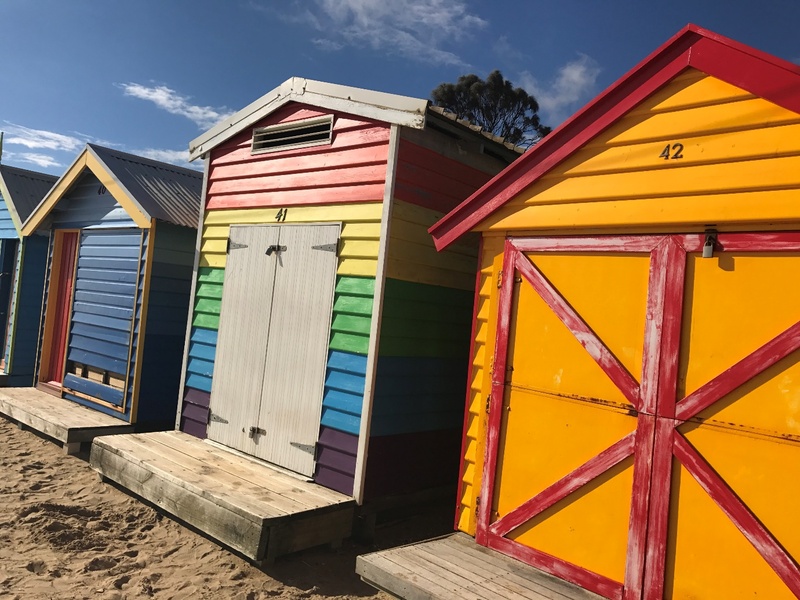 These popular bathing boxes are a Bayside Icon and Cultural Asset. 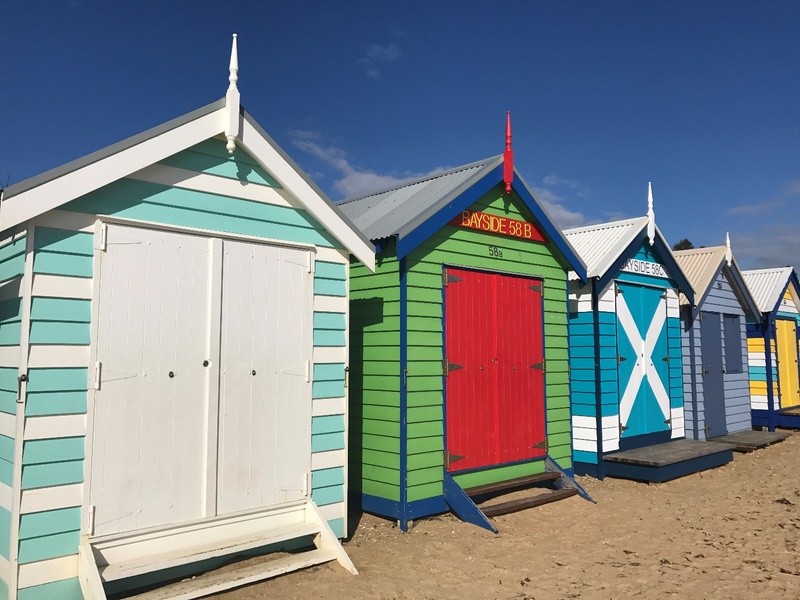 There are 82 Brighton Bathing Boxes all with their own unique and distinct character. These bathing boxes remain as they did over 100 years ago as licensed bathing boxes and have no service amenities such as electricity or water connected. This is a gorgeous spot to visit, our children enjoyed running up and down the beach, it was a windy afternoon which would have been perfect to fly a kite, we enjoyed watching the kite surfers out on the bay while devouring our icecreams and taking in the beautiful view. During our travels we always like to find a sporting event to see. This is one activity we love to do as a family. 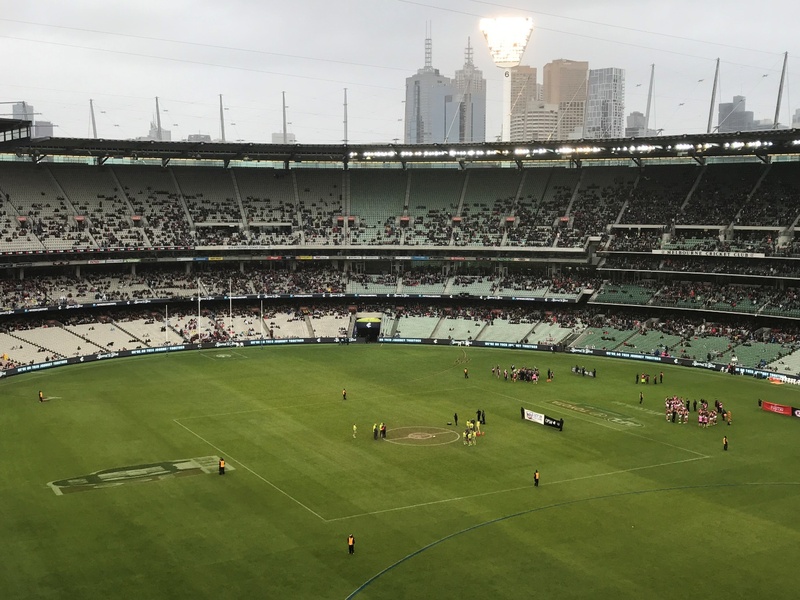 We watched an AFL game during our visit to the MCG. Although the weather was not so great, this certainly didn’t put a dampener on the atmosphere. The fans are so patriotic and the atmosphere electric we enjoyed every minute watching the game. 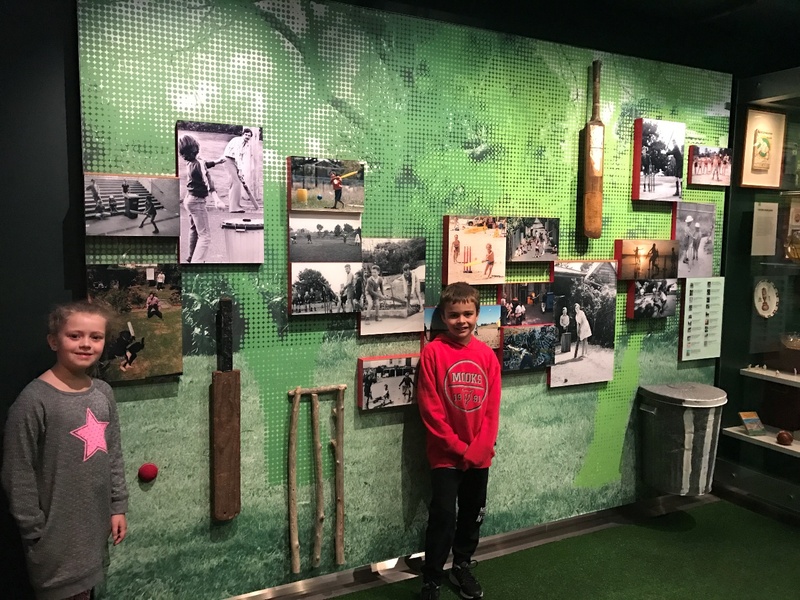 The National Sports Museum is located at the Melbourne Cricket Ground and is home to Australias finest collection of sporting heritage. Displaying exhibitions of cricket, Olympics, the MCG Australian Football and many more sporting disciplines. Our childrens favourite by far was the Game-On. 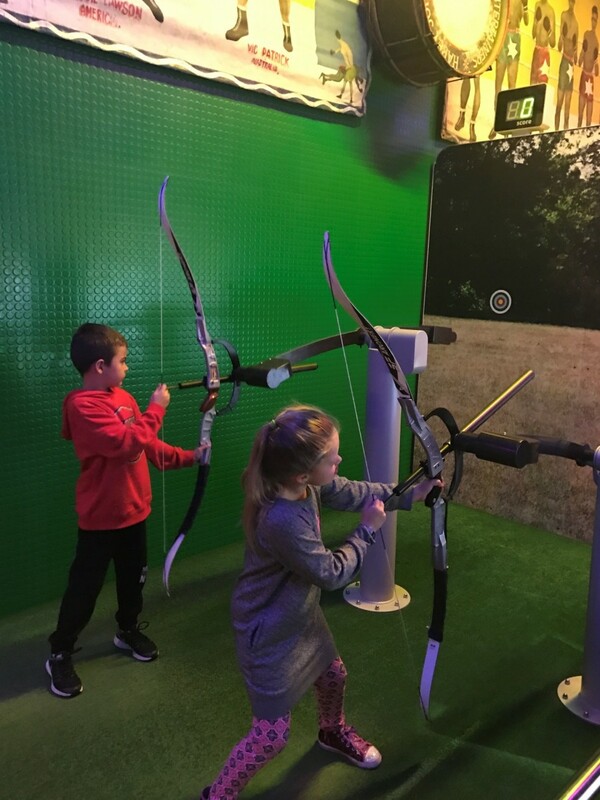 This interactive gallery was perfect for the kids to try many different sporting activities. Testing their goal kicking skills in AFL and Soccer, testing their cycling speeds, shooting hoops on the netball court, eye on the target in archery and lining up on the track ready to race. Our kids were left feeling .exhausted, but fulfilled. With over 10000 aquatic animals, interactive animal encounters, state of the art displays, Ice-Age 4D film this is a truly engaging experience. Our morning spent here was wonderful, it was the perfect way to spend the morning out of the cold and rain. The street art in Melbourne is incredible. There are so many hidden art works tucked down the laneways and street corners in Melbourne City. Some of these inspirational creations are officially commissioned by the City of Melbourne. Exploring the laneways and streets of Melbourne city is so much fun and full of adventure and hidden surprises. 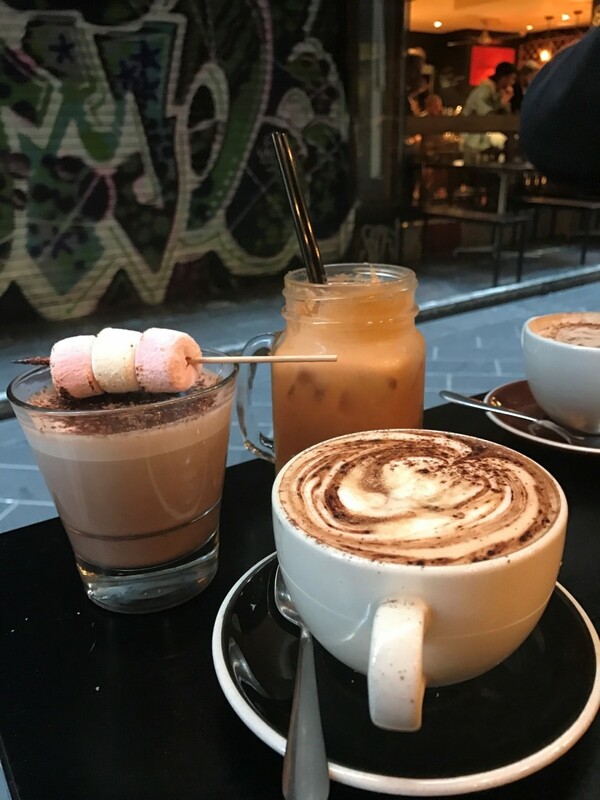 Not only discovering such world class street art which is one of the best free exhibits by far, but also tucked along Melbournes laneways are an incredible choice of cafes. 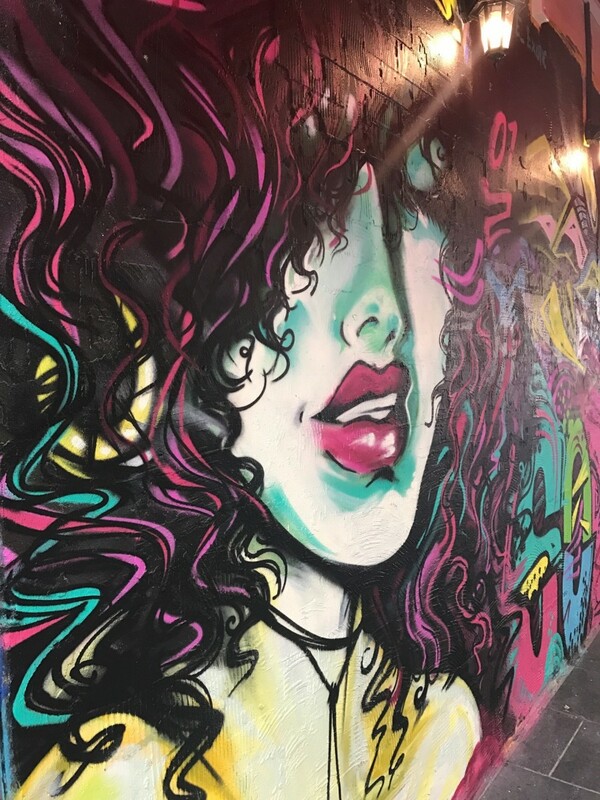 Melbourne is renowned for some of the worlds best coffee, experiencing the coffee culture whilst discovering Melbournes street art is such an exhilarating experience. Whether it be a piccolo, cappuccino or latte Melbourne is bursting with incredible beans. Melbourne is a fantastic place to go to experience great food and drink with a varied range of ethnic cuisines that range from Asian, middle eastern, and European. During our visit we were left feeling overwhelmed with such great choice and were never disappointed on any occasion. We enjoyed the wonderful hospitality of Carlos and his team at Mercadante on Lygon St. 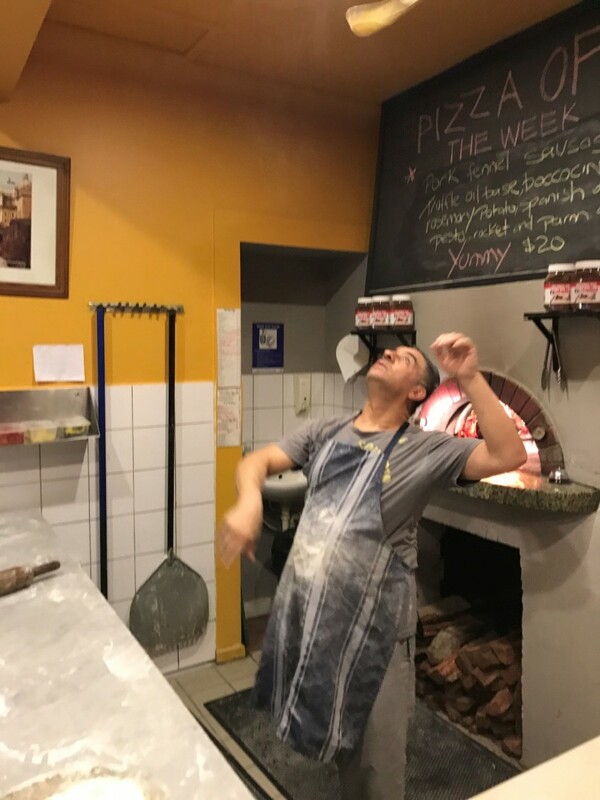 The food was certainly delicious and the atmosphere was just as good, enjoying the theatrics of the pizza making this restaurant oozed soul. So much so we had to return on our last night for one more meal, and Mercadante certainly didn’t disappoint. Another incredible dining experience had during our visit to Melbourne was dining at Gradi at Crown Melbourne. Gradis menu showcases the food of Naples. Gradi is renowned for authentic Neapolitan woodfired pizza. 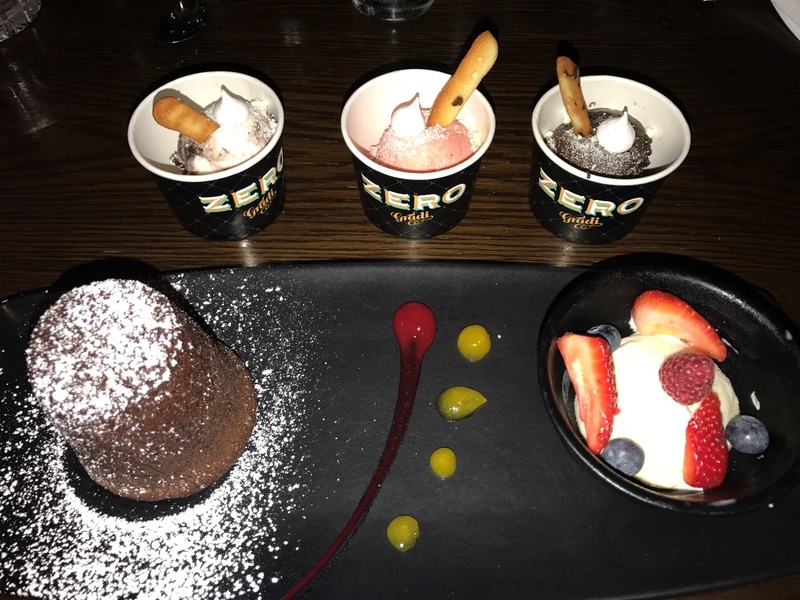 Our dining experience was second to none with each dish bursting full of incredible flavours and of course we had to have a Neapolitan woodfired Pizza, which my son rated “the best pizza ever”. 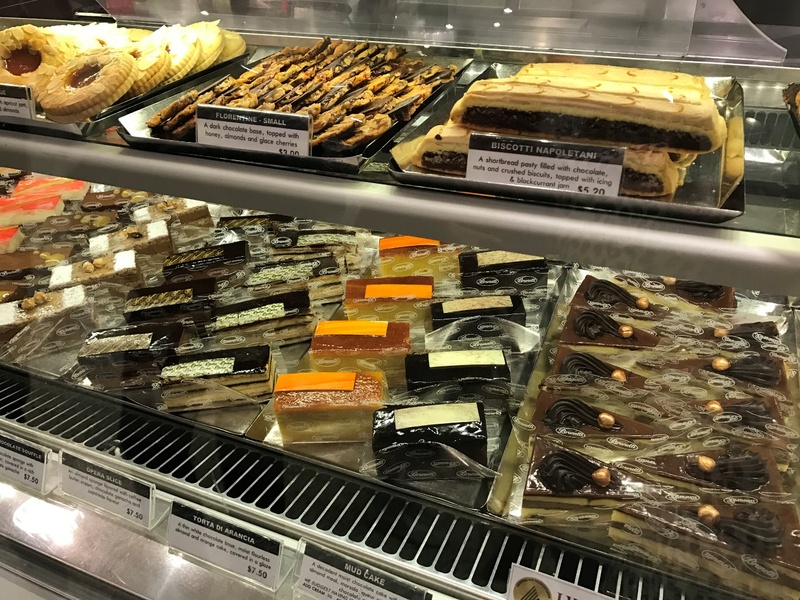 If you are anything like me and have an appreciation of anything sweet be sure to visit Brunetti in Carlton full of decadent and delicious European treats with an endless choice I opted to fill a little box full of decadence. Melbourne has a rich theatrical tradition with many shows making their world premiere in Melbourne. A variety of theatrical productions are staged each week in Melbourne. 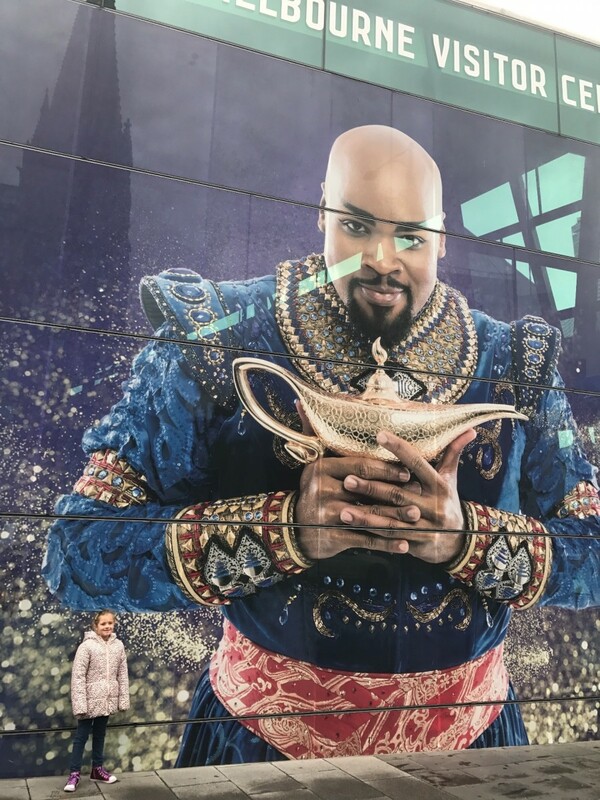 We were very keen to see Disneys Aladdin The Musical during our recent visit, however the opening night was the day after we had returned back to Sydney which was ashame. Nevermind looks like another great reason to return to this wonderful city. Discover this incredible city by Tram. Trams are a major form of public transport in Melbourne. We found this the easiest way to naviagate ourselves around the city. 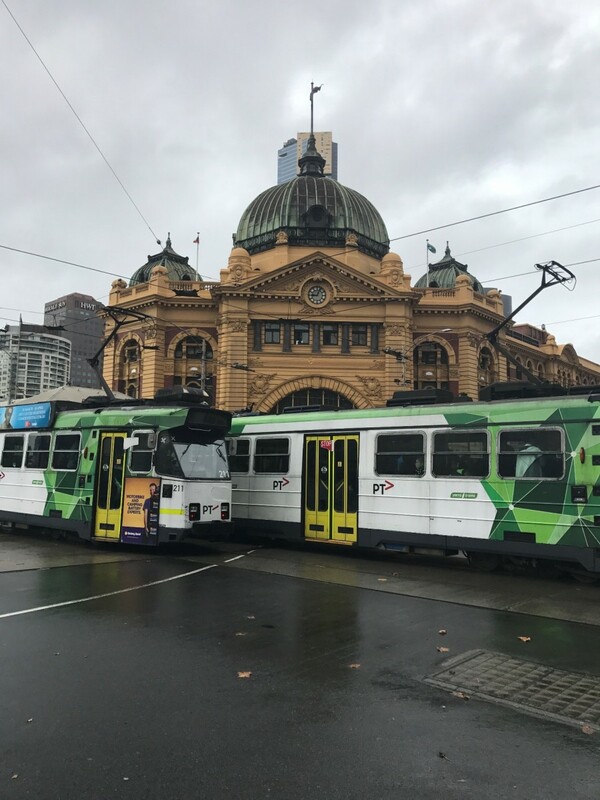 The city circle is a free and convenient way to see the major attractions of central Melbourne. There is an audio commentary which provides information on the cities landmarks and major attractions such as Federation Square, City Museum, Parliament House, Princess Theatre and Docklands. Final Note – Melbourne makes for a wonderful destination to visit as a family. Offering a world class food and coffee culture which is an experience in itself. Discover the cities rich historic past visiting one of the many historic buildings and monuments. 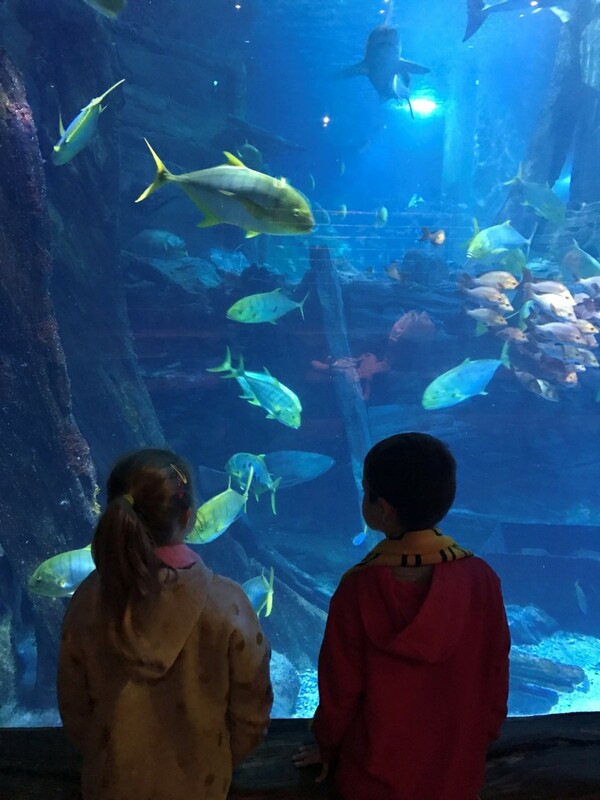 Plenty of interactive museums, zoos and wildlife parks just to name a few. We as a family only experienced a small taste of what Melbourne has to offer. Our list is long of things yet to be discovered and experienced in Melbourne and are looking forward to a return trip soon.